Stream or download step-by-step Shaolin kung fu video lessons for beginners with Master Yang! Kung fu master, Dr. Yang, Jwing-Ming teaches you a complete foundation in Shaolin Kung Fu techniques with three hours of video lessons. In the Course 1 videos, Dr. Yang instructs Stretching, Fundamental Stances, and extensive Hand Drills. In the Course 2 videos, Walking, Hopping, Jumping, Sense of Distance training, and extensive Kicking techniques are taught. Dr. Yang teaches proper body alignment and posture, explains the martial applications of the techniques, and shows corrections for common mistakes, as students demonstrate. 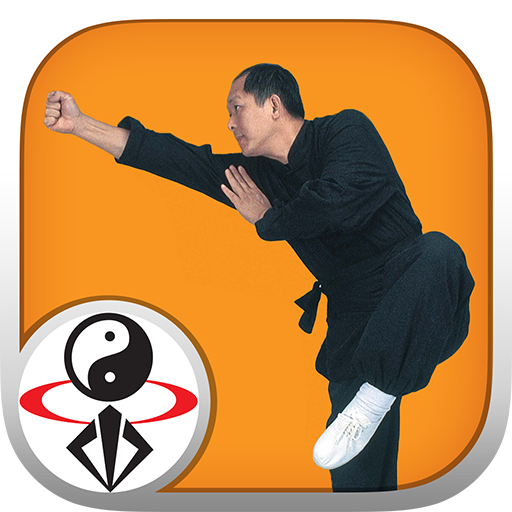 This app is available for free download with sample videos, and offers a single in-app purchase to access these kung fu lessons for the lowest possible cost. These follow-along kung fu lessons are like attending a one-on-one class with an acclaimed kung fu master. You will stretch the whole body and gradually become more flexible and fit with this amazing exercise. These videos teach the essential foundation of Shaolin kung fu exercises, and provide excellent training for all martial artists, especially those interested in tracing back the root of Asian martial arts, like karate and jujitsu. Drawing from his extensive knowledge of Shaolin Long Fist Kung Fu and Shaolin White Crane Kung Fu (Gongfu), Dr. Yang teaches you not only the skills you need, but also the deeper theory and history of each. A complete kung fu curriculum can also include Qigong exercises, such as the Ba Duan Jin or Tai Chi, many weapons, such as sword, saber, and staff, and other skills, like zen (Chan) meditation.